If you have mold in your carpeted Glen Burnie home, it can mean serious health risks for you and your family. The mold can start growing on the wall and spread to the carpets or vice versa. If you have mold in your carpeted Glen Burnie home, it can mean serious health risks for you and your family. Mold can strike wherever there is moisture in the home, and the risk is heightened if you happen to live somewhere especially humid. Whether you decide to seek professional expertise or want to take a DIY approach, here are some ways to ensure that you kill that mold stuck in your carpet. The first step to ensuring that the mold in your carpet gets removed effectively is to wear protective gear. Make sure you wear sleeves and pants, a face mask, and goggles. Avoid inhaling the spores, because the mold can spread this way and negatively impact your health. Next, you must ensure that the room where you are working is well ventilated. Open any windows to the outside, but ensure that doors to other rooms in your Glen Burnie house are closed. Again, this is to prevent any mold from spreading further into your house. Move any rugs and removable carpets out of the room and make sure they sit in sunlight for at least 48 hours. For wall-to-wall carpeting, dry the moisture with a humidifier or use the ‘blow’ setting on a vacuum cleaner. Turn on any lights and make sure they are about 50 centimeters above the moldy carpets to simulate the sunlight. Next, you can start attacking the mold. Use a stiff brush to loosen mold packed into the carpet and vacuum it up. If you have one, also use a steam cleaner. After the carpet has been cleaned, use anti-mold spray over the whole surface. Make certain that the spray penetrates to the bottom of the carpet to ensure maximum efficacy. You can also leave an anti-fungal solution on the floor as well to prevent more mold from growing anywhere else inside your Glen Burnie home. Once you have removed the mold and cleaned your carpets, it is essential that you clean all of the equipment that you used. This way, you will prevent residual mold spores from spreading in the future. Clean thoroughly and disinfect with alcohol. If possible, it may be best to rent equipment if you want to remove the mold yourself. If you rent the equipment, then you will not contaminate your own, which will decrease the chances of spores finding their way back into your home. 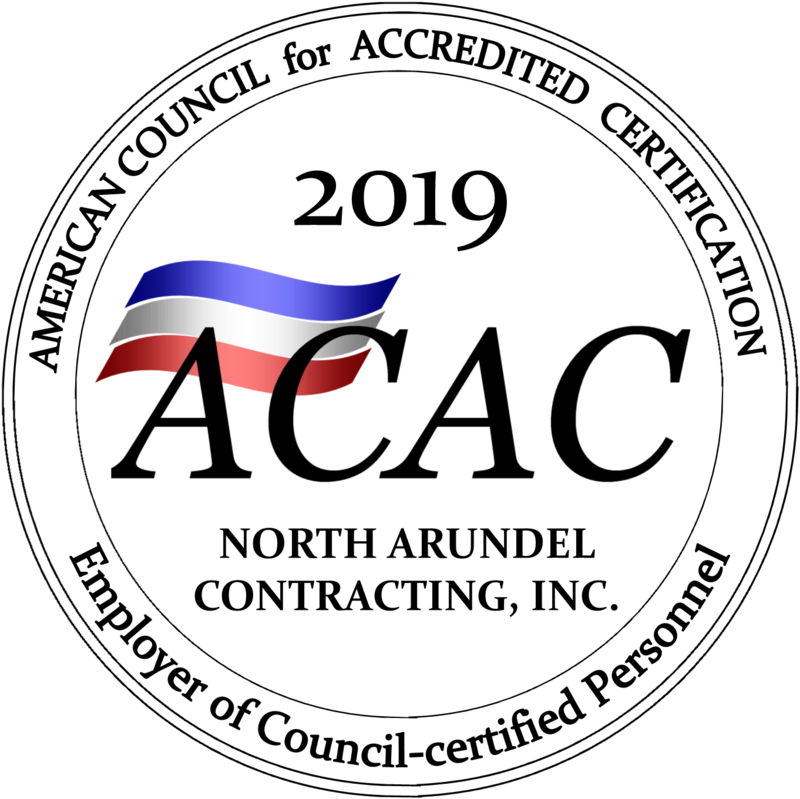 If you have more questions about mold removal or if you want the professionals to take care of it for you, you can trust North Arundel Contracting. Reach us by telephone at 410-766-2855 or by fax at 410-553-2367 and visit us online. Shoot us an email at nac@nacontracting.com and for after-hours emergencies, page us at 410-541-0328. To find out what we are up to, or for more tips and tricks, follow us on Pinterest, Facebook, Twitter, and LinkedIn. This entry was posted on Friday, June 8th, 2018 at 10:48 am. Both comments and pings are currently closed.